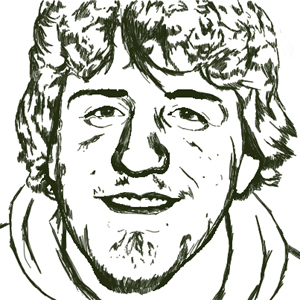 Something different for a change seemed to be in order, so here it is. 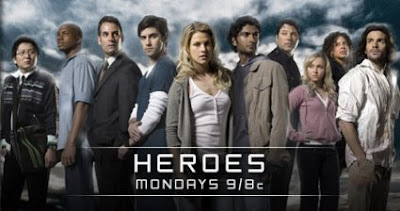 Heroes is a relatively new television (new as still in its first season) that is one of the best shows on television. Think of it as a version of X-Men where the point is not to fight, so much as just live out their lives (however complicated there lives may be). The show does have many parallels to X-Men but they are only skin deep, the show branches off into deep character development that makes the show so fascinating. The season is coming to a dramatic conclusion where apparently a large fraction of New York is going to be taking out by the exploding man (yes, there is a Wikipedia article on the exploding man although it is actually about an upcoming episode). There are only two episodes left according to the Wikipedia article on Heroes (List of Heroes episodes) and personally I am looking forward to resolving some conflicts and learning more about the more mysterious characters. The end of this season will probably be a giant cliff hanger (like every single episode), but I can live with that (as there will be a second season). This series does have a many similarities to other comic book based movies and shows. It even has a graphic novel associated with it that I haven't quite got around to reading yet (I keep saying I'll read them but never do). There is no way I could even talk about this series without mentioning the effects. They are truly amazing for a television show. Every episode I watch I am convinced I am watching a movie (be it a movie even longer than The Lord of the Rings) but a movie none the less. Additionally, it has amazing artwork involved in the plot. This is definitely a series that has taken me by surprise. I really did not expect it to be a amazing as it has turned out to be. I only hope it holds my attention longer than other series that seem to get Lost in complex plots that never seem to resolve.